American diners done well are really few and far in between. Balancing between the perfect food and awesome deco, to be able to pull it off on an island as densely populated as Singapore must have been a Herculean feat. 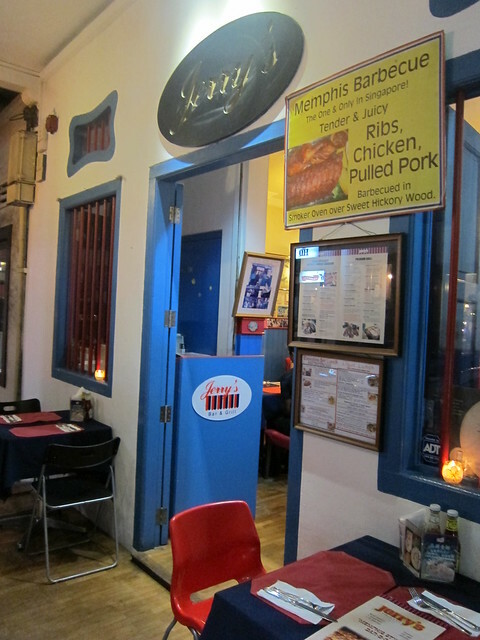 To top that off, Jerry’s Barbecue & Grill was highly recommended by one of my favourite foodie in town, Sparklette.net. So of course I had to pay a visit, despite the intense humidity and all-engulfing heat that was the local weather that night. 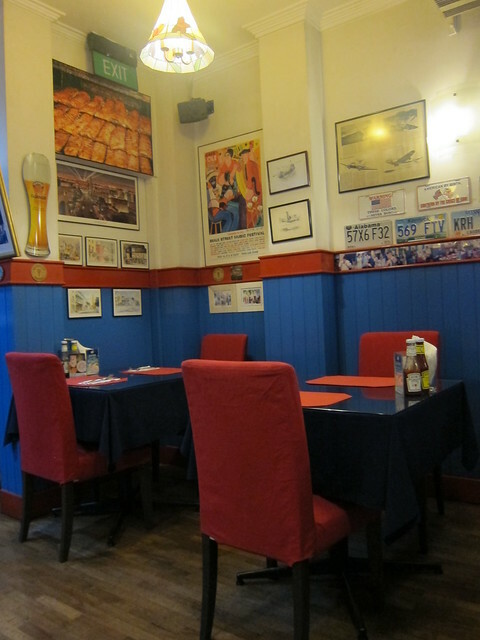 Located along the bohemian boulevard that was Club Street, the restaurant would be hard to miss. Boldly decked out in blue and red, Jerry’s stood out a mile even amongst the trendy pubs and fashionable stores around the area. Once inside, I wasn’t disappointed to discover the place lived up the American spirit with US-themed posters and cheekily phrased signs covering its walls. And the food? Well we are about to find out.